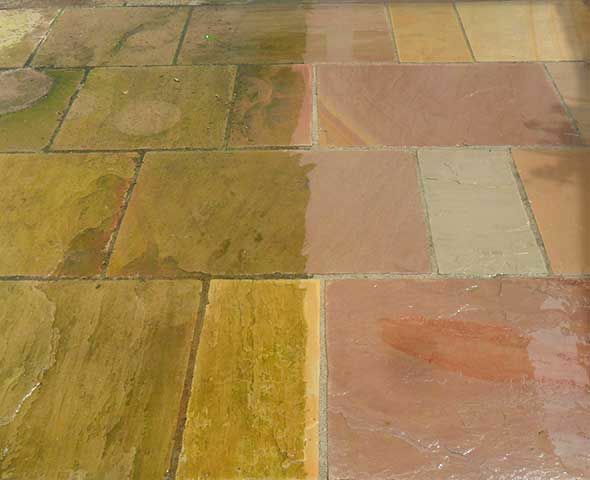 At Cabinteely Patio Centre, we offer a huge selection of patio and paving products. 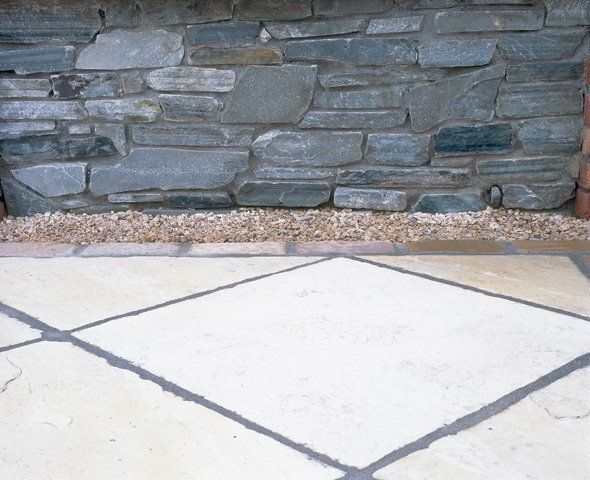 We supply everything required to design your patio, from stone and slabs, to sand and cement. Our expert staff are on hand to answer any queries you may have in relation to products, quantities etc. 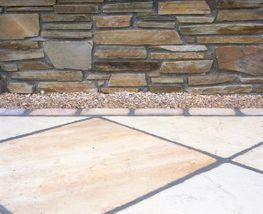 Cabinteely Patio Centre has garnered a reputation for the quality and diversity of our paving options. 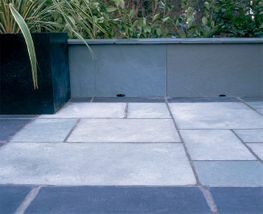 The gentle earthy colours of sandstone are complemented by the elegant ashy grey of our selection of limestone paving. 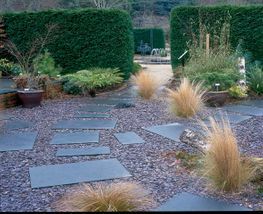 Our robust collection of paving has made us a favourite with both domestic and commercial clients. 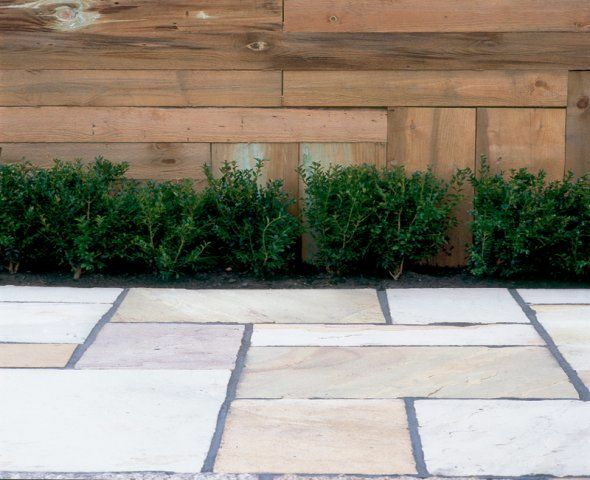 The adaptability of Indian sandstone is not limited to an interchange between natural stone materials, it may also be combined with timber — here mint Indian sandstone paving is complemented by the use of new timber sleepers. The introduction of different textures provides interest and softens hard outlines. 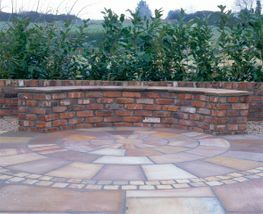 A camel dust Indian sandstone patio is complemented by a red reclaimed brick background. 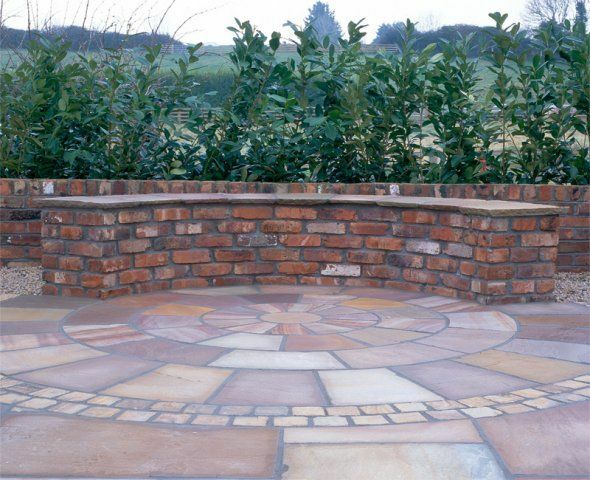 It features a circular pattern inserted into a square which is especially effective in softening angular areas, providing interest and character to outdoor space. 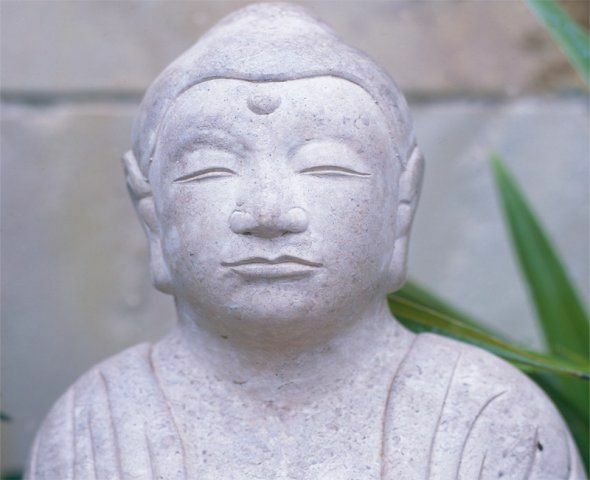 Cabinteely Patio Centre always has a large selection of garden ornaments in stock. This Buddha figure will add a meditative quality to the garden. 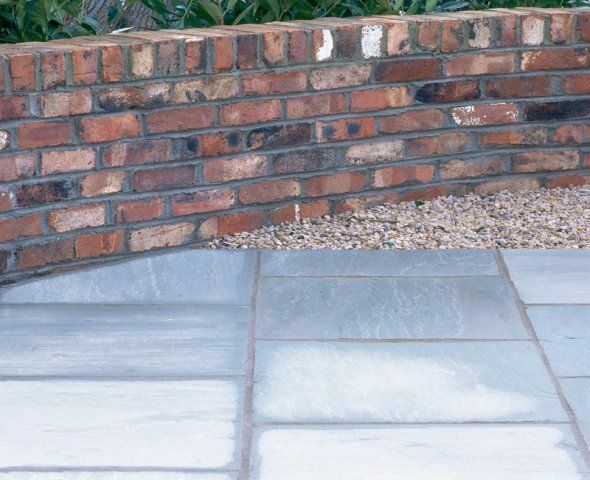 Grey Indian sandstone paving combined with a red reclaimed brick background provides a rustic contrast giving the garden a totally different appeal. 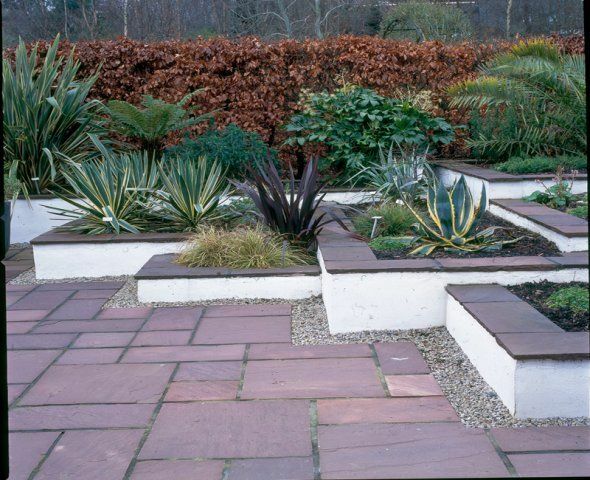 The use of chocolate brown Indian sandstone paving is accentuated by raised flower beds capped with chocolate brown Indian sandstone capping, complemented by contrasting warm cream walls. Indian sandstone spheres with their naturally occurring planetary type rings are a stunning, decorative but child-friendly water feature. 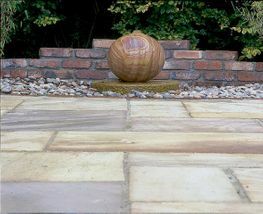 Situated on an Indian sandstone millwheel base they are available in both a drilled and un-drilled finish. Indian sandstone is particularly beautiful when wet. 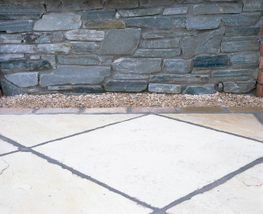 Cabinteely Patio Centre provides a large selection of limestone — a hardwearing stone which is very easy to maintain and eminently suitable for the Irish climate. This kota blue limestone paving provides a simple, yet interesting patio - interest is provided in the foreground with kota black limestone. Black limestone flags may also be used as stepping stones. 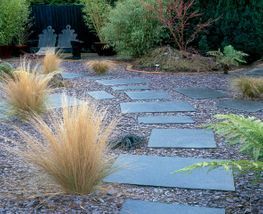 Used here with a purple mulch stone the contrast in colour provides added interest. 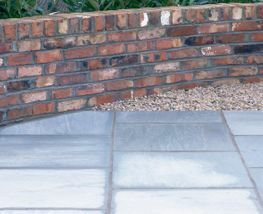 Grey quartz walling is a popular product used in raised flower beds. Complemented by the use of mint Indian sandstone, this combination illustrates the ease with which natural materials interact with one another. 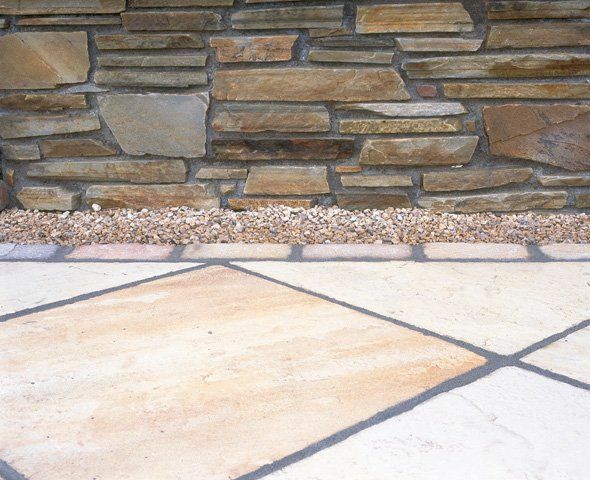 Cabinteely Patio Centre also stocks Liscannor limestone, an Irish product from Co. Clare. 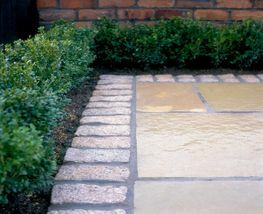 Limestone is a dense material, easy to clean and maintain. 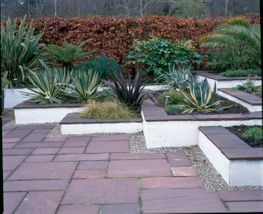 Brown quartz walling is also suitable for use in small raised flower beds. 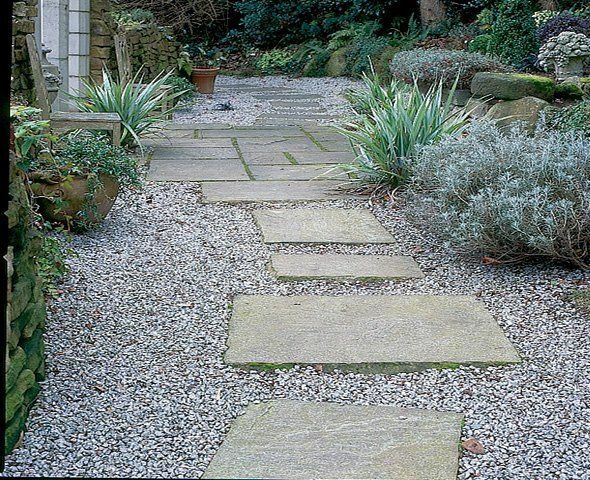 Quartz adapts well to curves and is easy to work with. 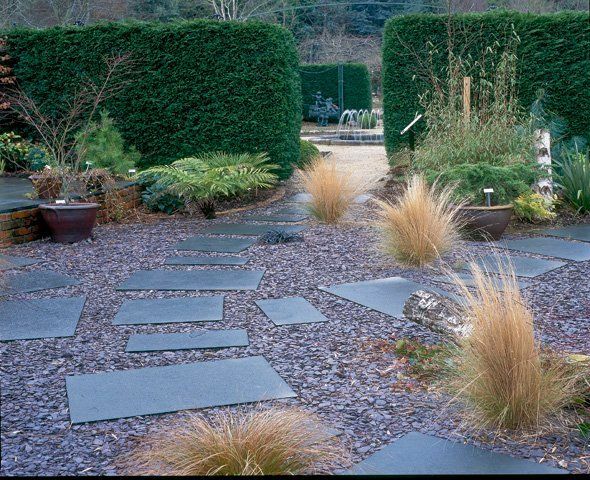 This ability to adapt to curved lines is used to great effect in gardens providing a softening effect in areas with strong or angular lines. Yellow Indian limestone paving with yellow tumbled granite cobble border adds cheer and colour to a north-facing garden and will transform any dull, shady or uninteresting area into an area which is inviting and warm. Red reclaimed bricks are salvaged bricks and may be incorporated into a natural stone-wall, combining man-made and natural materials to form an eclectic appeal. 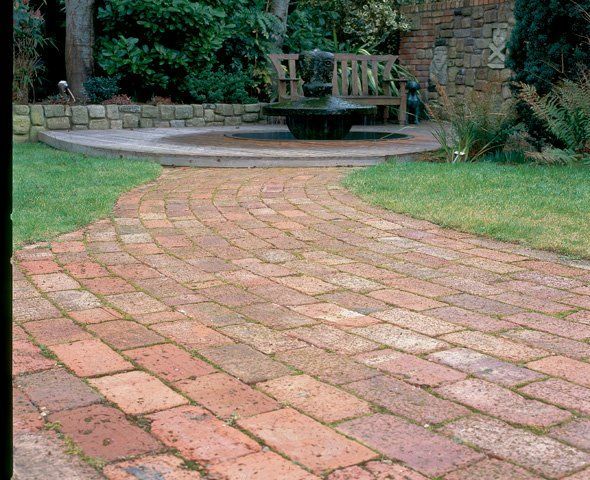 Red reclaimed bricks have the added attraction of being recycled and therefore environmentally friendly. At Cabinteely Patio Centre we also provide cleaning and maintenance products for your new patio/paving. 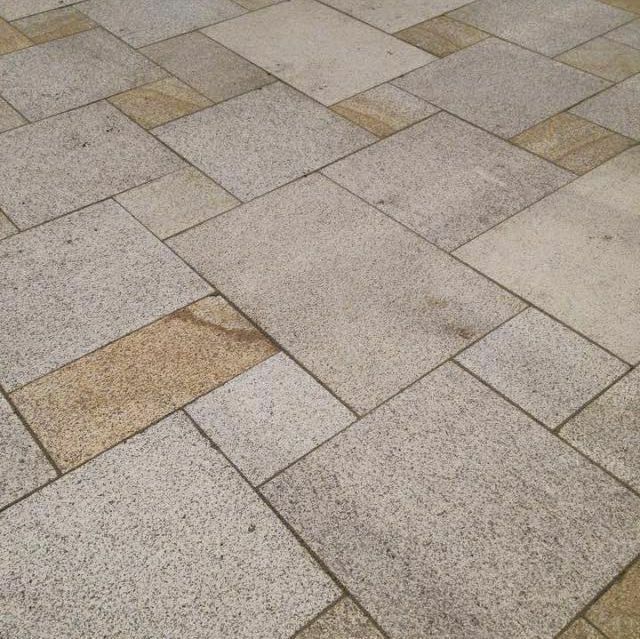 In Ireland’s diverse weather paving can be susceptible to dirt and discolouration, as such, we recommend performing cleaning and maintenance every so often in order to keep the stones looking their best.